A great series for your summer reading list from the first MMD Summer Reading Guide. Lord Peter Wimsey comes to the trial of Harriet Vane for a glimpse at one of the most engaging murder cases London has seen in years. Unfortunately for the detective, the crime’s details are distractingly salacious, and there is little doubt that the woman will be found guilty. A slightly popular mystery novelist, she stands accused of poisoning her fiancé, a literary author and well-known advocate of free love. Over the course of a few weeks, she bought strychnine, prussic acid, and arsenic, and when her lover died the police found enough poison in his veins to kill a horse. But as Lord Peter watches Harriet in the dock, he begins to doubt her guilt—and to fall in love. As Harriet awaits the hangman, Lord Peter races to prove her innocence, hoping that for the 1st time in his life, love will triumph over death. 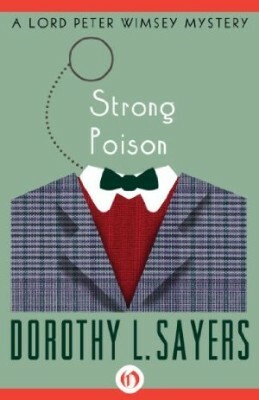 Strong Poison is the 6th book in the Lord Peter Wimsey Mysteries, but you may enjoy the series by reading the books in any order.